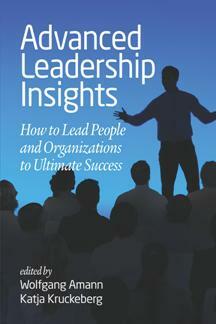 Advanced Leadership Insights How to Lead People and Organizations to Ultimate Success | Free eBooks Download - EBOOKEE! Great leaders know that prestigious appointments do not only entail advantages, but also major responsibilities. They are willing to set high standards: First and foremost for themselves and only thereafter expect others to follow them. They never rest on their laurels, but embrace life long learning. They are thus inspirational roles models for others. They walk the talk and earn loyalty - do not just demand it. They have prepared themselves well without risking complacency or overplaying their strengths. They ensure that more than mere luck will allow them to succeed in a world full of ambiguity, change, dilemmas, and even trilemmas. Most importantly, they orient themselves to follow their moral compass. They also know that it has never been so easy to find inspiration, a reality check, and advice on the development of their situational solutions. This book aims at providing such easy access to crucial insights into sustaining success. International top management and leadership consultants, lifelong learning experts, experienced executive coaches, and leadership faculty from leading business schools share their insights to help leaders cope with today's and tomorrow's complexity. No comments for "Advanced Leadership Insights How to Lead People and Organizations to Ultimate Success".